Nevermind Web 3.0 – What on Earth is Web 2.0?! Web 2.0 is a term used to describe websites and technologies that have been seamlessly combined in order to enhance the classic, 1 dimensional scope of a website. Such an example of a Web 2.0 website would be Google Maps, where satellite information and aerial photographs have been combined with directory information and images. Facebook, too, is a good example of Web 2.0 – a dynamic hub of information about pre-selected friends and relatives, it offers browser based games, addition of RSS and video information, not to mention providing an online public profile for users. Almost all social networking tools come under the Web 2.0 description, as do popular, user-targeted ecommerce solutions such as Amazon. Find out more in the article Web 2.0 Definition in the Classroom. However, now talk in the technorati columns, blogs and magazines begins to focus on Web 3.0. What is Web 3.0, and how does is stand up in a Web 2.0 vs Web 3.0 comparison? Before we go on, however, we should tidy up the matter of definitions. Those examples above that I have given to represent Web 2.0 can be argued to be nothing more than derivations of Web 1.0 – certainly Amazon.com with its almost magical algorithms to make suggestions to you based on previous purchases or services could be said to be nothing more than Web 1.0, and was offering these services before the Web 2.0 term was defined. Meanwhile Ajax – the underlying technology that powers dynamic content on Facebook – can be argued to be little more than an additional layer on top of HTML rather than a language to replace it. As you can see, the Web 2.0 vs Web 3.0 argument is going to be an interesting one – especially when we consider that Web 3.0 is yet to occur. Given the difficulties in providing an accepted universal definition for Web 2.0, there could be some difficulty in comparing the two generations of the World Wide Web! The Web 2.0 vs Web 3.0 comparison is not something that can be easily defined given Web 3.0’s lack of a specific definition. If Web 2.0 can be defined as a period of technological enhancement to static HTML generated web pages, offering the social networking, blogging and ecommerce tools that we take for granted on a daily basis, then Web 3.0 is something quite different; something to which comparison might be difficult. Arguments as to what the definition of Web 3.0 might be range from the general term “semantic web” in which search is quicker and more comprehensive, thanks to a range of indexing systems such as tagging, to it being the time when the web and TV collide, to a disturbing definition of humans being constantly “plugged in” to the net. The most simplest comparison then might be to understand Web 2.0 as a successful integration of many online services into use web-based mashups and apps, and Web 3.0 as the real world implementation of these services, best demonstrated with the use of the Layar system. Layar is effectively an invasion of 2D, online search services into 3D space with the help of camera mounted mobile phones, and presents information, clearly and relatively – an application of the semantic web. 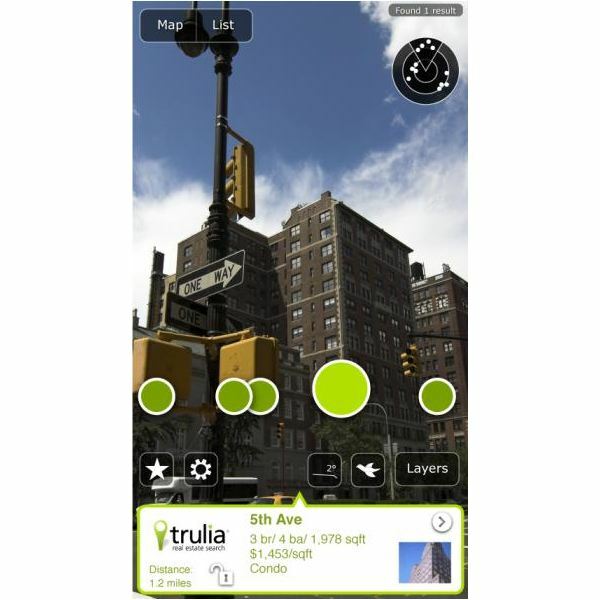 Our review of the Layar Reality Browser should make this particular Web 3.0 definition – probably the most popular – much clearer.